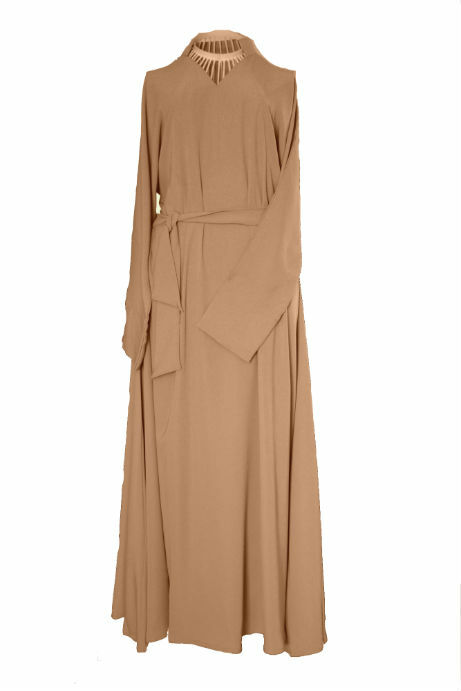 Plain but never boring! 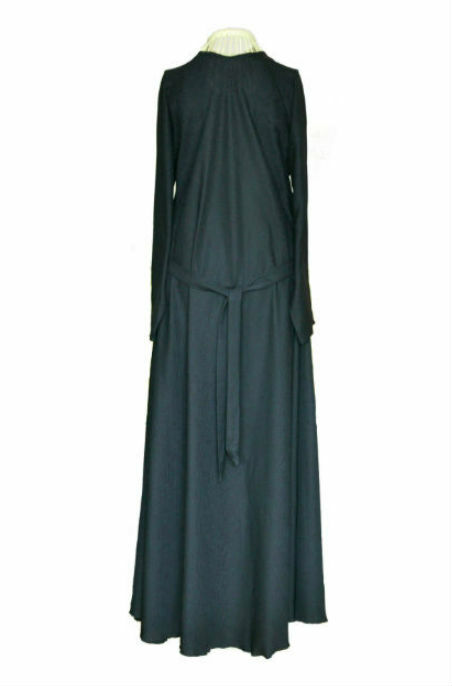 This classic black abaya dress is a perfect example of elegant everyday wear. 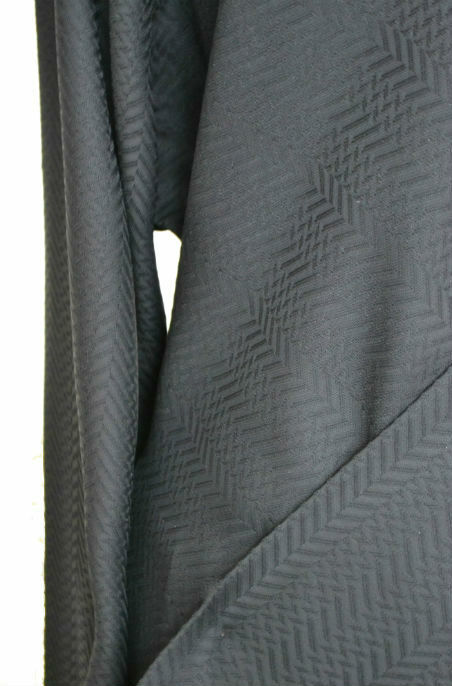 Made from lightweight textured material, this abaya drapes down beautifully. 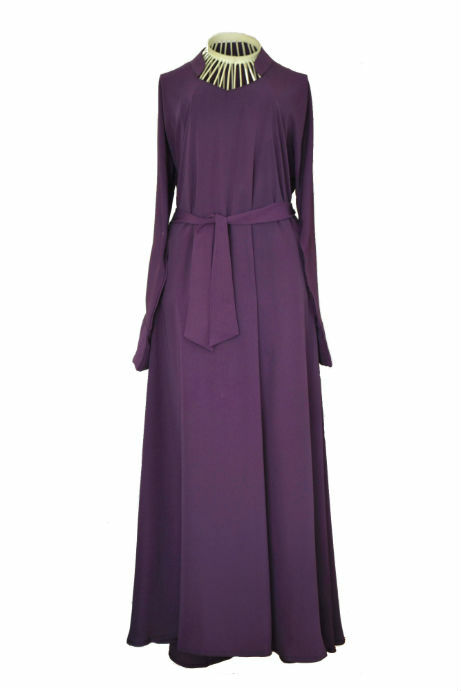 The style of the abaya resembles a dress and flares from the waist down. 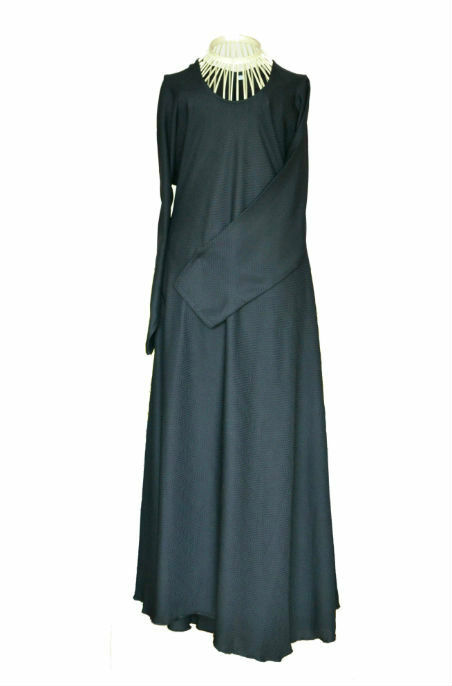 The arms are straight and simple. 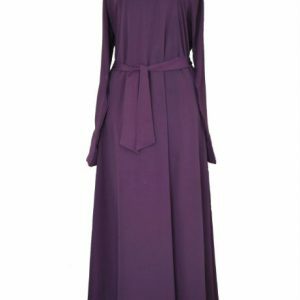 The tie back belt can be adjusted for a suitable fitting. 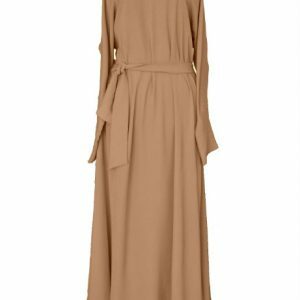 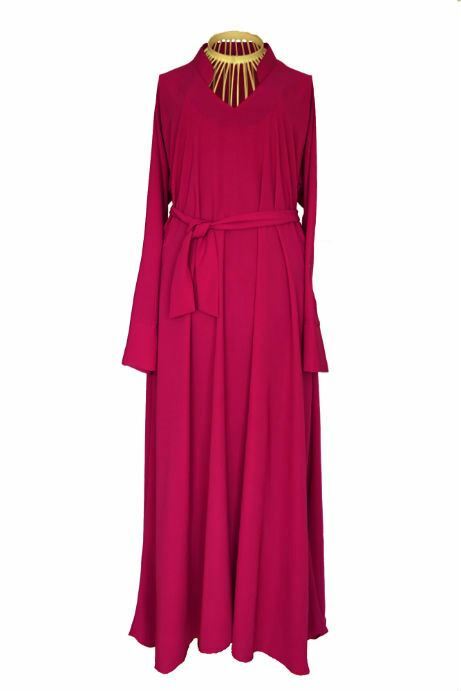 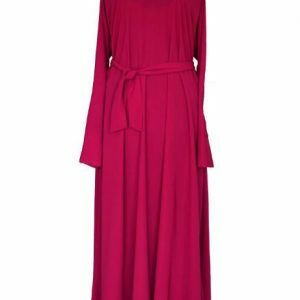 This abaya is the perfect pick for ladies who are always in a rush ( as it requires minimal ironing) and are looking for an abaya that gives great shape, modest yet super stylish!